Enables electronic capture of reports, policies, statements, bills, explanation of benefits and other customer correspondence. Watch the Demonstration of IBM CMOD on Cloud for Healthcare. 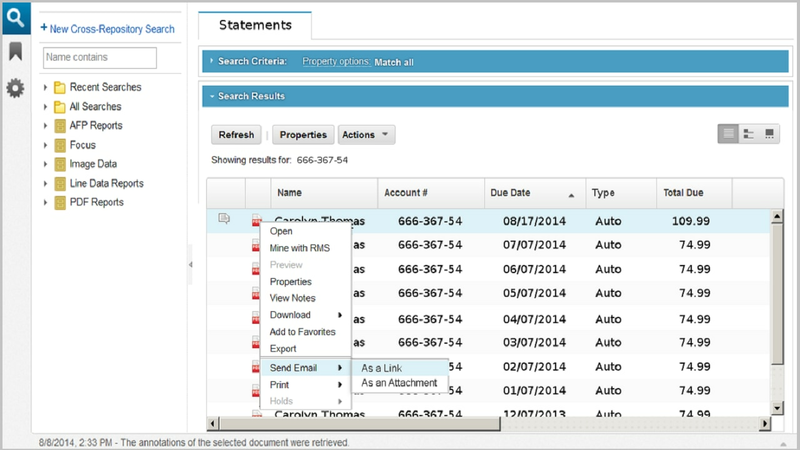 Watch the Demonstration of IBM CMOD on Cloud for Insurance. Watch the Demonstration of IBM CMOD on Cloud for Telecommunications. Watch the Demonstration of IBM CMOD on Cloud for Retail.